Here you will find materials you can download and share with your class, organization, or family. This four-page activity book is a fun teaching tool for school-age children. 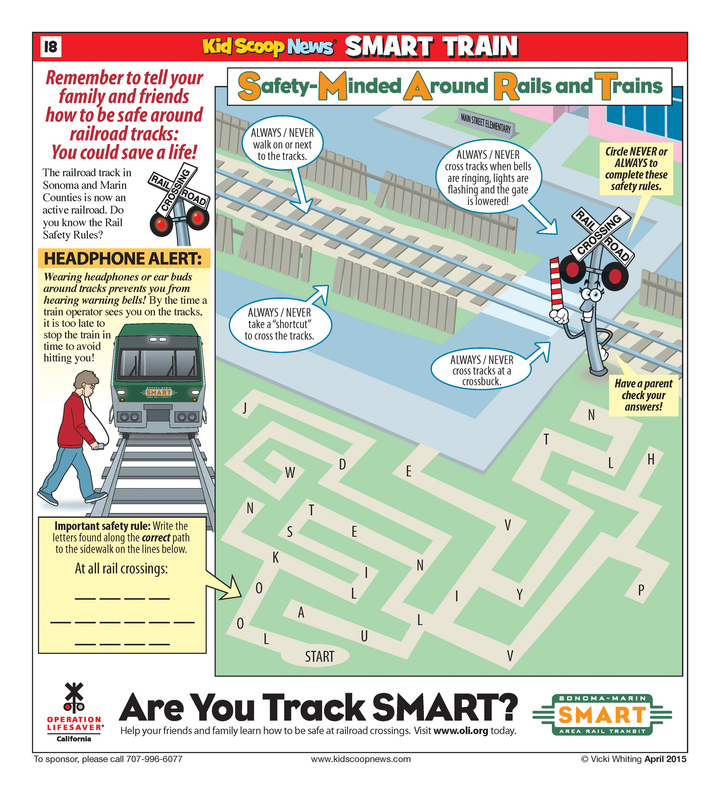 It covers the basics of railroad safety. This four-page activity book is a fun teaching tool for school-age children. 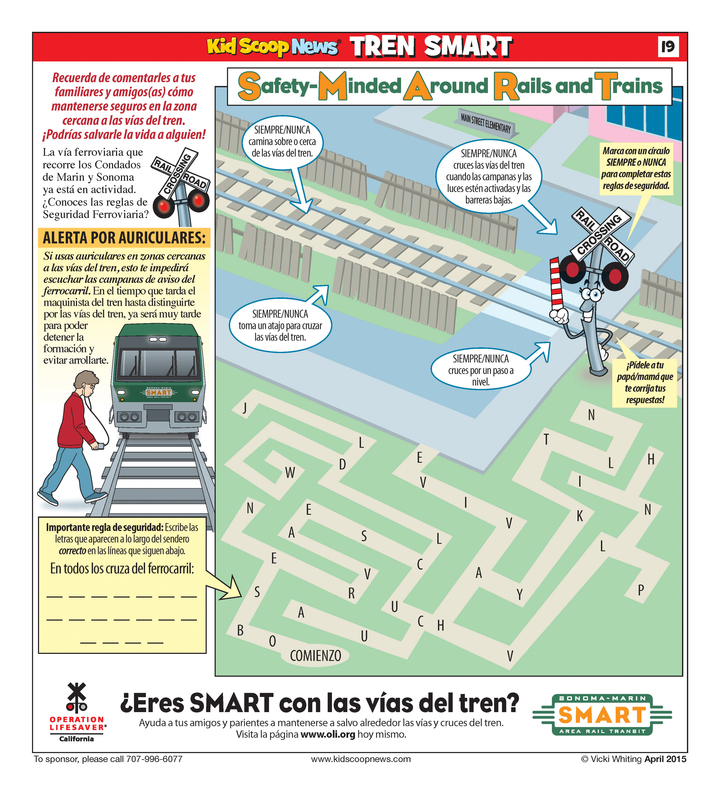 It covers the basics of railroad safety in Spanish. 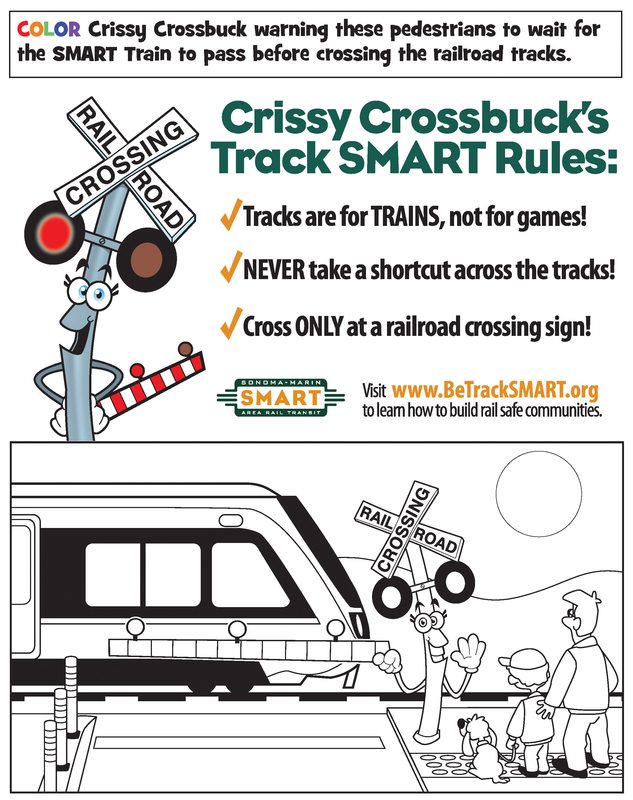 Children can learn Chrissy Crossbuck’s three Track SMART rules with this coloring sheet. 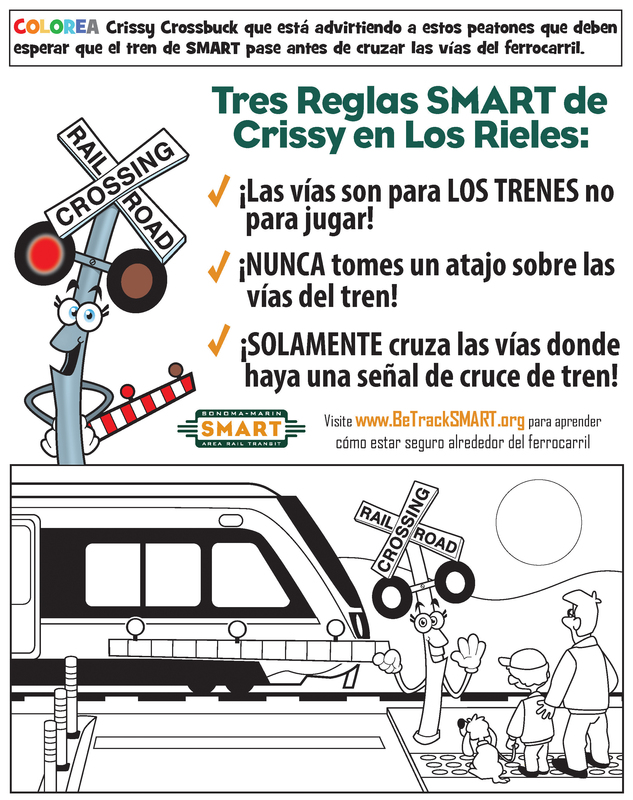 Children can learn Chrissy Crossbuck’s three Track SMART rules with this Spanish language coloring sheet. 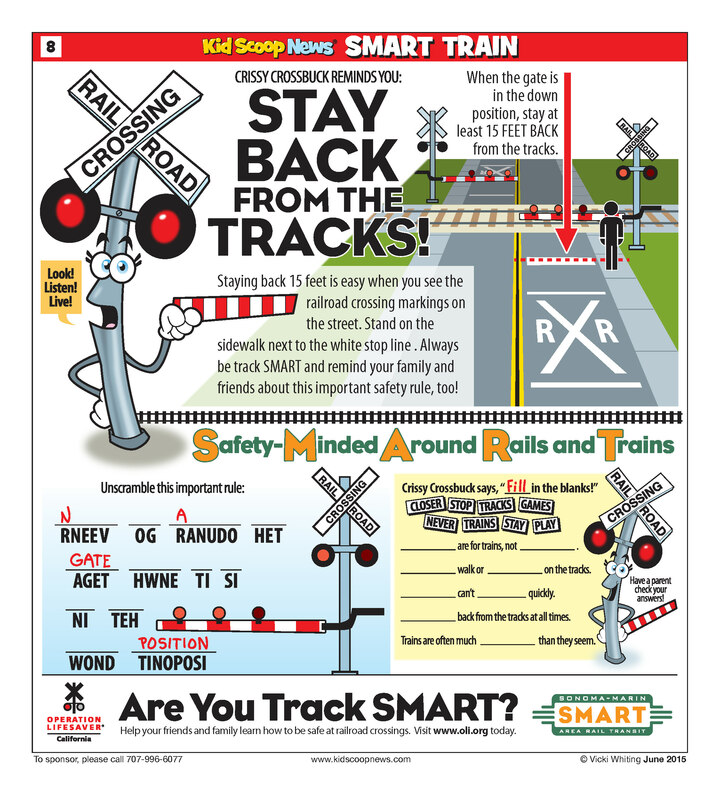 Children learn about being safe around railroad tracks with this engaging activity. 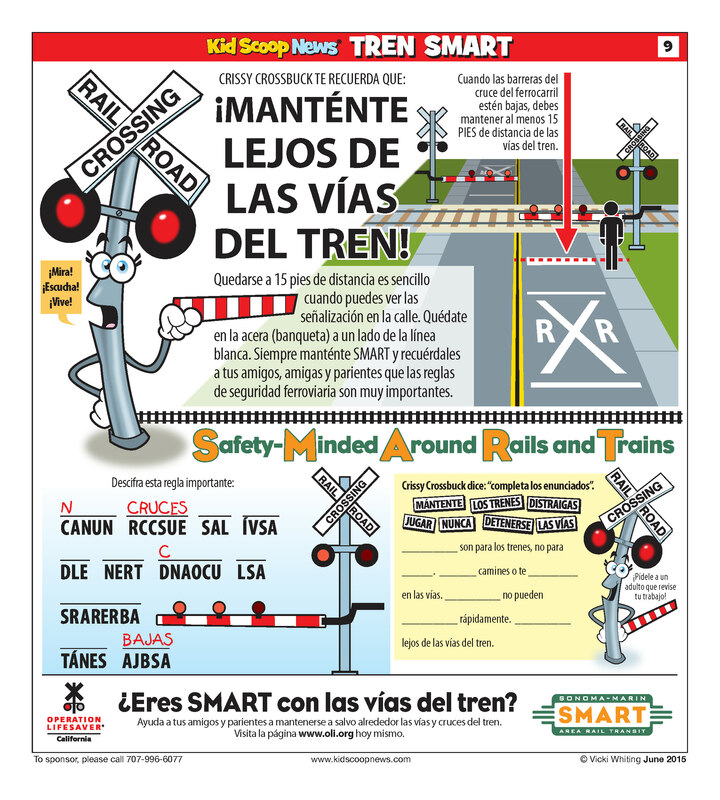 Teach children to cross railroad tracks safely only at designated pedestrian crossings with this activity sheet. 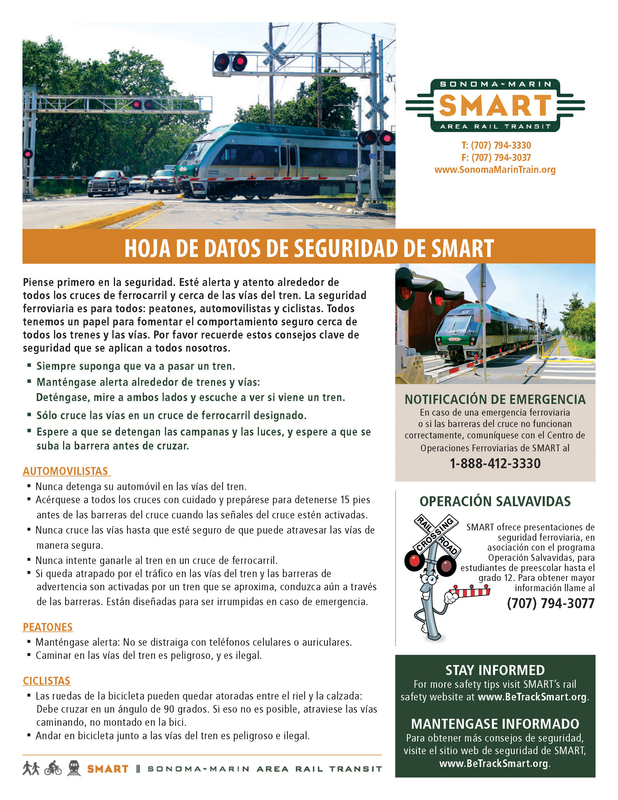 This flyer has key rail safety information for motorists, bicyclists, and pedestrians. 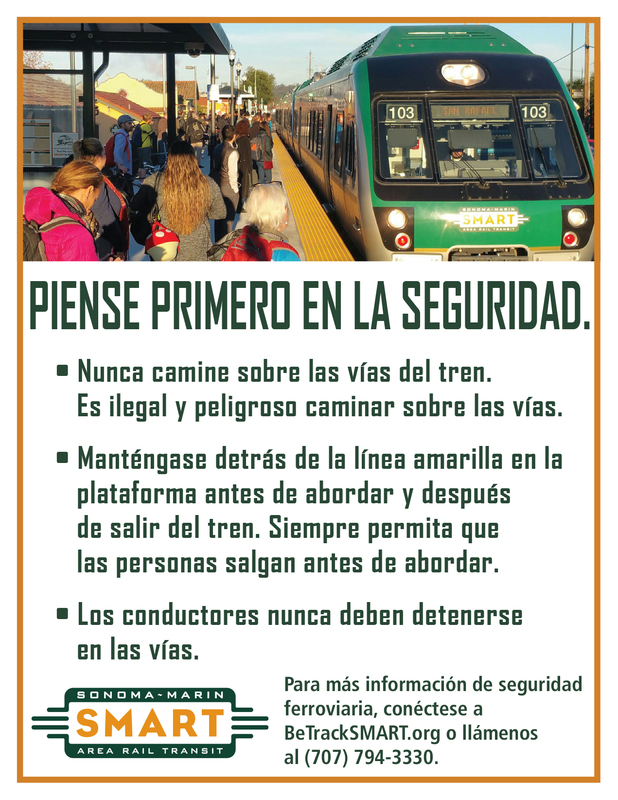 This larger-sized card has key rail safety tips for the general public, including a Quiet Zone-related safety tip. 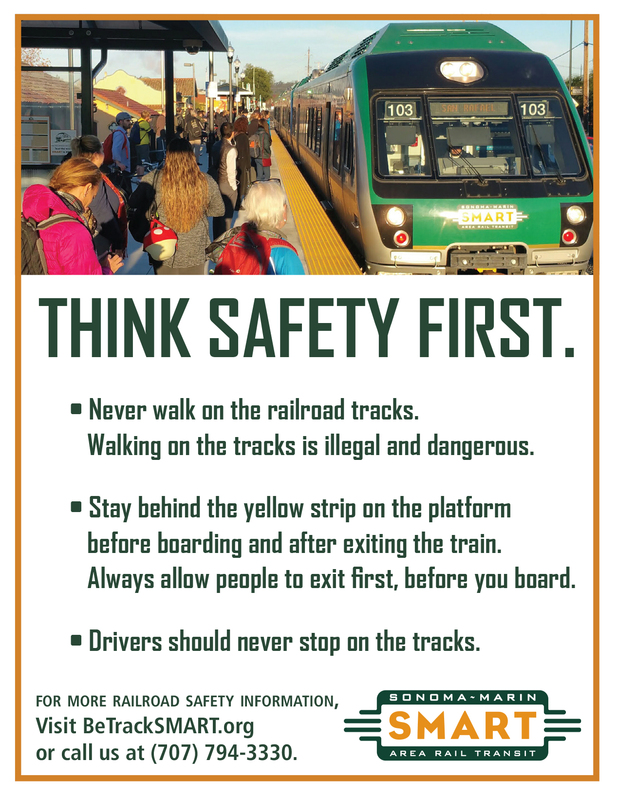 Our safety postcard has safety information tips for motorists, pedestrians, and people at station platforms. This poster is ideal for school and classrooms. 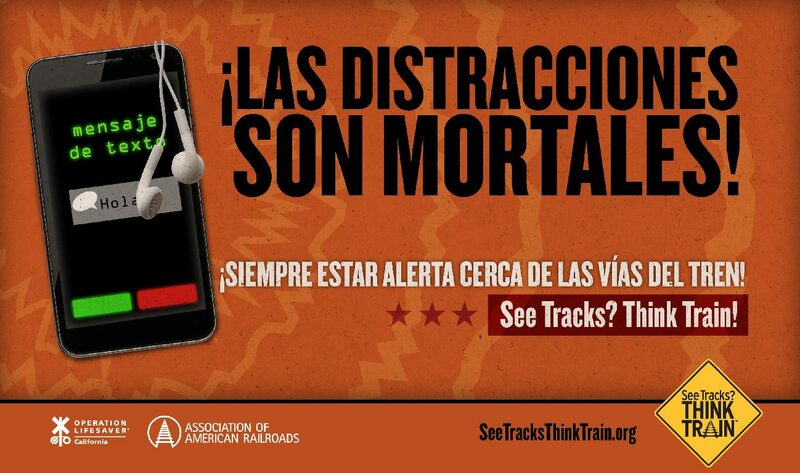 Remind people that distractions around railroad tracks are deadly with this poster. 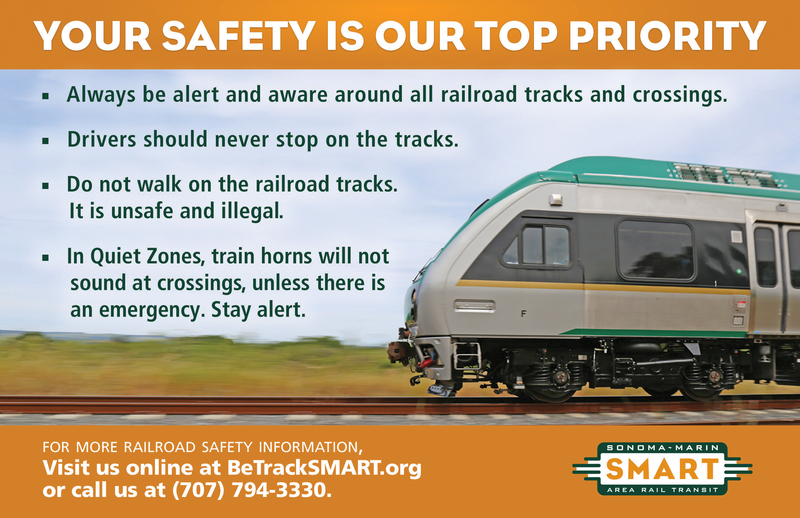 Remind people to never be distracted around railroad tracks. 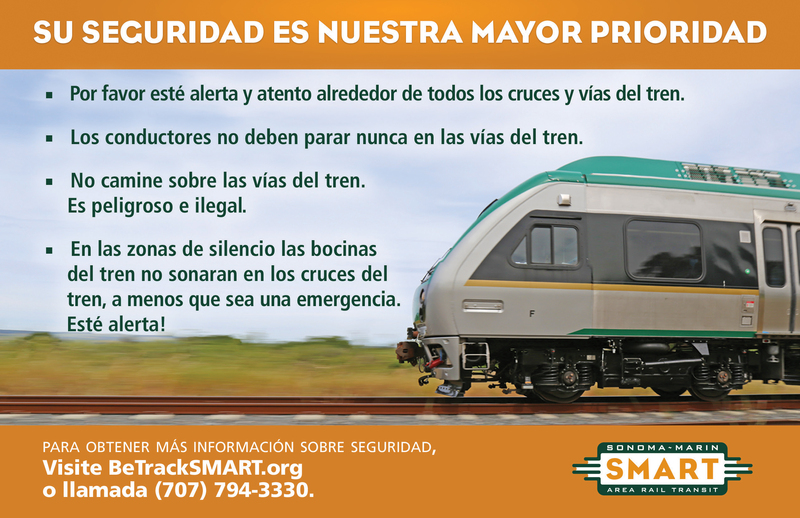 Promote rail safety with Chrissy Crossbuck.